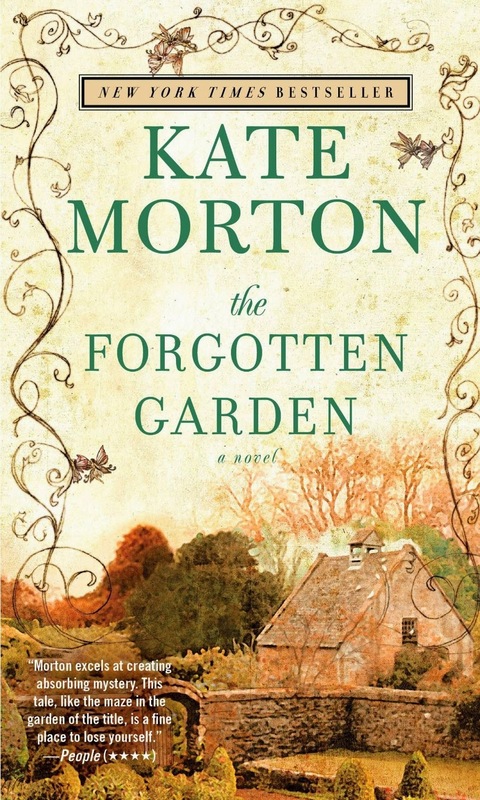 In The Forgotten Garden, Kate Morton slowly reveals the story through three points of view. First there is the story of Nell's research and travels to England as an adult in the 1970s. Then there is the story of her granddaughter, Cassandra's own travels in 2005 after her grandmother's death, as she tries to fill in the pieces Nell wasn't able to uncover. And finally, we travel all the way back to the early 1900s to learn more about Nell's real family, and the events that led to her being alone on that ship. This book has sat on my shelf for more than a year. I always thought I would enjoy it, but it's much longer than the books I usually read so I held off reading it. I'm so glad I finally picked it up! This is a wonderful work of historical fiction. It's a family saga filled with a compelling mystery that keeps the pages turning. Morton brought the time and locales to life; I could visualize the streets of London at the turn of the century, the little cottage overrun by nature, and the beautiful gardens full of flowers and trees. I just loved the fact that Morton included the fairy tales that are an integral part of the story. She didn't just tell us what they were about. She actually included them in full so we could read along with Cassandra and the other characters as they discovered the fairy tales themselves. I highly recommend The Forgotten Garden to anyone who enjoys historical fiction and family sagas. It's a beautifully written story with fascinating characters and an engaging mystery that pulls you through the story from beginning to end. I will say I figured out a good deal of the mystery much sooner than the characters did, but this didn't detract from my enjoyment of the story. This review was written based on a copy of The Forgotten Garden that I obtained through Paperback Swap. ILOVE kate Morton's books. I'm glad you enjoyed it! I liked this one well enough but I enjoyed The House at Riverton more. I loved this one and it reminded me in some ways of The Secret Garden by Frances Hodgson Burnett. I am looking forward to reading her third novel now though I have just seen an unfavourable review.